A few days ago, the Senate introduced legislation to curb ties and aid to governments that break relations with Taiwan. On a previous occasion, Trump has threatened to recognise Taipei. Washington (AsiaNews/Agencies) – The United States recalled its envoys to three countries from Central America and the Caribbean that recently cut diplomatic ties from Taiwan in favour of the People’s Republic of China. In a statement on Friday, the US Department of State said that it recalled the US ambassadors to the Dominican Republic and to El Salvador as well as US Chargé d'Affaires to Panama for consultation over these countries’ decision not to recognise Taiwan. For years, Taipei and Beijing have been engaged in a diplomatic tug-of-war over the former’s diplomatic status, offering financial support and other types of aid, as bargaining chips. 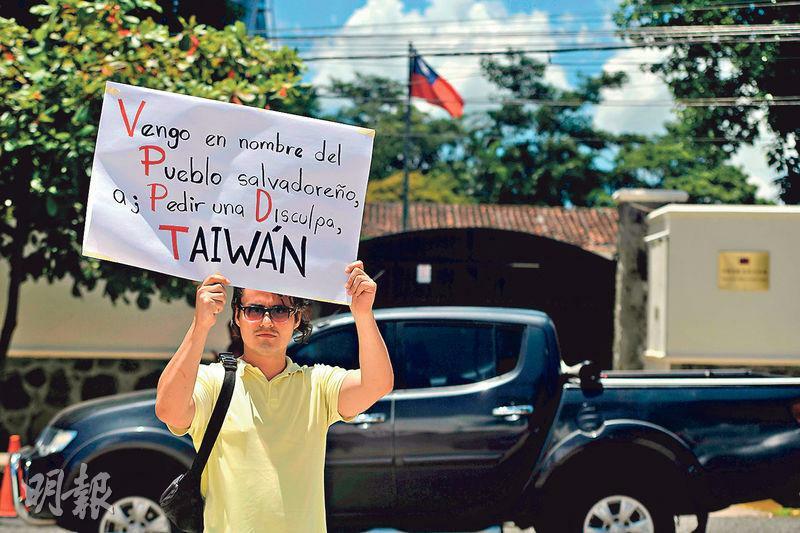 Panama cut ties with Taiwan to align with Beijing last year, the Dominican Republic did the same last May, and El Salvador joined them in August. Beijing’s fight against Taipei has become even more intense after Tsai Ing-wen, leader of Taiwan’s Democratic Progressive Party (DPP), won the presidency in 2016. The DPP is suspected of seeking independence and Tsai, upon taking office, refused to acknowledge the principle of "one China". At present, only 17 states recognise Taiwan, down from 22 two years ago. In Europe, only the Vatican has diplomatic relations with the island nation. But many more states have economic and cultural relations with the "rebel" island that Beijing wants to bring back to the fold. The United States is of Taiwan’s most important allies even though Washington granted diplomatic recognition to Beijing in 1979. The US is also the island’s top weapons supplier and is committed to defend it in case of an attack from the mainland. Three days ago, the US Senate introduced legislation authorising the State Department to curb ties and aid to any government that drops Taiwan. This position is bound to exacerbate existing tensions between the US and China in the wake of the ongoing trade war. US President Donald Trump has already threatened to recognise Taiwan if China does not stop its "manipulation of the yuan" and rectify the trade imbalance with the United States.